Malcom Brown has been a consistent contributor along the New England Patriots’ defensive line for four years, but he’s been consistently good against the run and consistently unspectacular as a pass-rusher. He’s earned 83.1-plus run-defense grades two years in his career and sub-60.6 pass-rush grades every year in the NFL. Brown is a run-stuffing defensive interior with very little upside as a pass-rusher. He should be valued and paid as such. 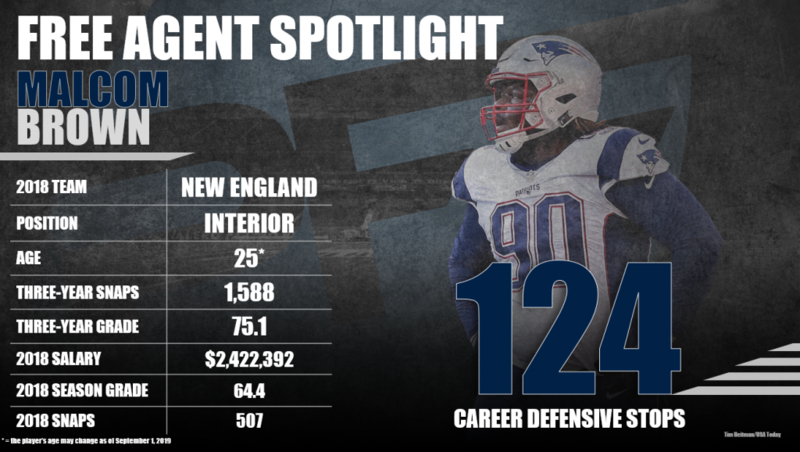 Subscribe to Pro Football Focus’ ELITE subscription to research Malcom Brown’s grades, advanced stats, snaps and more in Premium Stats 2.0.